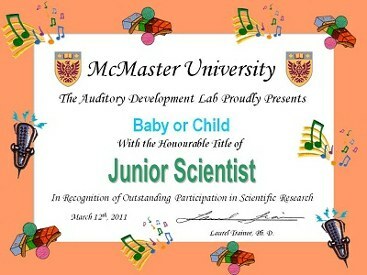 Participate in Ongoing Research in the Auditory Development Lab! We design our studies of infants' and children's hearing to be easy, short and fun for all involved. Parents stay with their infants and young children at all times, and there is no known risk in any of our studies. 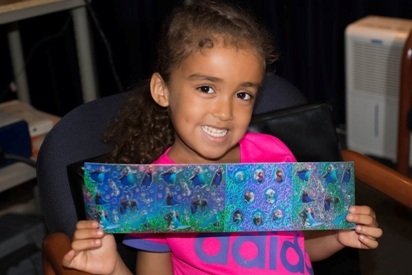 Your child will recieve a junior scientist award with his/her picture, and a toy. If you have an infant or young child and are interested in participating, please contact Elaine Whiskin at (905) 525-9140 ext. 24797 or Susan Marsh-Rollo at 27114. For the majority of our studies you will be requested to visit only once, but a few of the studies require that you visit on more than one occasion. The duration of each visit is usually between 30 to 45 minutes, with some studies lasting up to one and half hours. We will not be able to tell you anything specific about your child's development. Most of our studies look at the average performance of large groups of children, and compare average performance at different ages or under different conditions. The Auditory Development Lab publishes a regular newsletter describing some of the important findings from the various studies taking place, which you can request to receive. 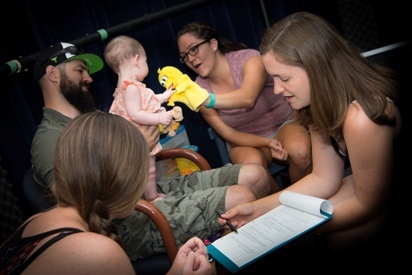 The Auditory Development Lab is open all week and on the weekends as well. Appointments are made according to your availability assuming another family isn't already scheduled. We see children on Saturdays and Sundays, but also on weekday mornings, afternoons, and evenings. We will do everything we can to find a match between your schedule and the researcher's schedule in order to make it convenient for you to come in. We may call you as often as once a month to tell you about new studies that we are running and ask you if you are interested in coming in to participate. However, depending on what age groups are being studied, we may call only a few times a year. If you do not wish to participate at the time we call you, you may decline, and we will call you for the next available study. If you wish to be removed from our calling list at any time, please let us know, and you will no longer receive further communication from us. No. You will be with your baby during the entire study session and throughout your trip into the lab. For studies with older children, you can choose whether to stay in the room or not. Please be sure to inform our scheduler if you would like to bring a sibling or other child with you to your appointment. We do offer testing times during which we can provide childcare. We have some toys and games to ensure that their time in the lab is fun. 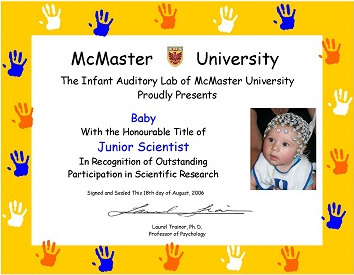 You or your child may choose a small age-appropriate toy and will receive a personalized Junior Scientist certificate when the study is complete. Free parking is provided on campus, and bus fare will be refunded if applicable.